If you have any questions about national or international missions trips, or how to get in touch with missionaries, drop us an email. The Bible says we should share the message of God’s great grace to those in our home town, across our country, and around the world. At Grace, we support dozens of missionaries serving in far off lands as well as others serving here in the United States. In addition to supporting these wonderful servants of God with our prayers and financial resources, we plan a number of overseas missions trips for all ages. Be a part of a short-term missions trip yourself! Volunteer to help with events like the Global Impact Celebration. Support our missionaries by giving above and beyond your tithe with funds earmarked for missions. Encourage our missionaries with emails, personal notes, or even a video chat. 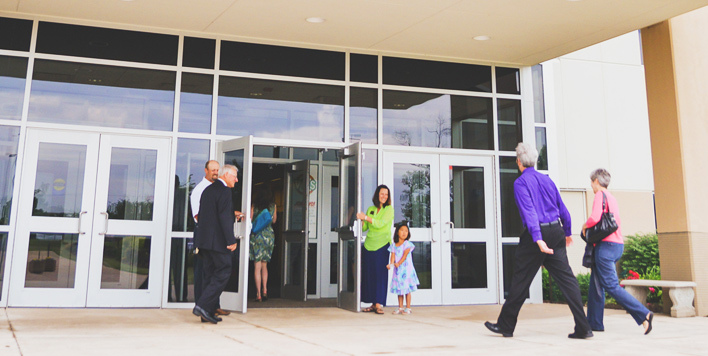 Spend time learning about our missionaries by scrolling through the different missionaries and organizations listed below, or by visiting the hallway near the front entrance. If you have questions or would like to volunteer or support world missions, please fill out this form. 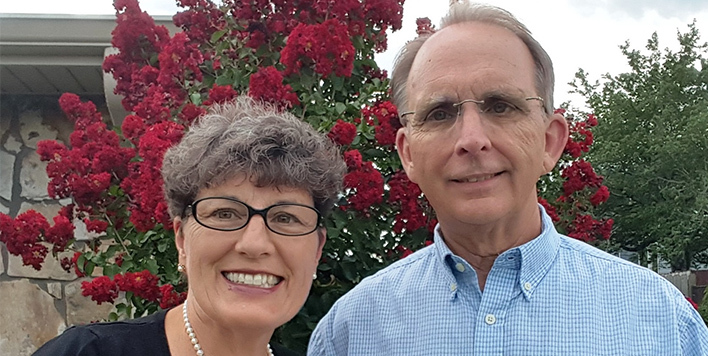 Don and Darlene are proclaiming the Good News of the Gospel of Jesus Christ through helping Central Illinois churches create an environment where the Holy Spirit inspires men to engage in Life on Life discipleship. Don is using the proven strategy of the No Man Left Behind 3D - Man in the Mirror model. And he is helping churches create value, capture momentum, and sustain change, which is all a part of creating a discipleship atmosphere. 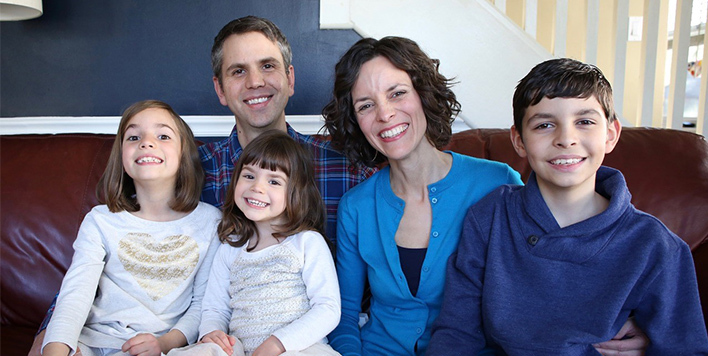 Matt and Rachel live in Malaga, Spain with their three children. They want to make disciples of Jesus in every way possible. In 2017 Matt started a nonprofit organization that helps unemployed people on their quest towards full-time employment. As participants work on reorienting their efforts to land a job, they discover the meaning and practical application of Jesus’ teachings found in the Bible. Rachel has a very relational ministry. She shows God’s love to friends and neighbors by listening, encouraging, and caring for people in their time of need. 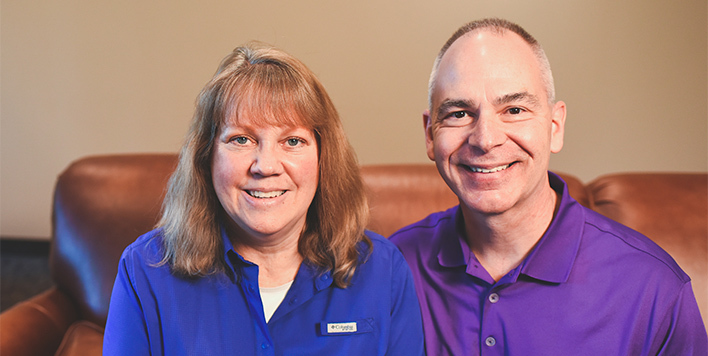 Dave and Shirley work with the Event Ministries Department at FamilyLife to effectively develop godly families. Dave is an event planner and a manager of his fellow event planners. 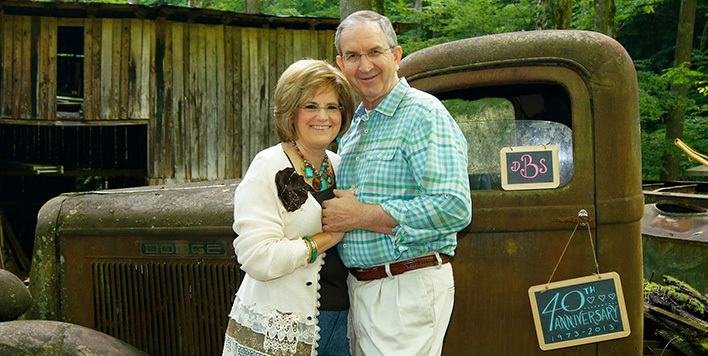 He plans and administers six to eight Weekend to Remember marriage conferences each year, and as manager, he both mentors and trains other event planners. Shirley manages the Resource Center at the conference bookstore so conferees have the resources available to go deeper into the biblical truths they learn that weekend. Eli’s title is Ambassador at Large for Youth for Christ International/Americas. 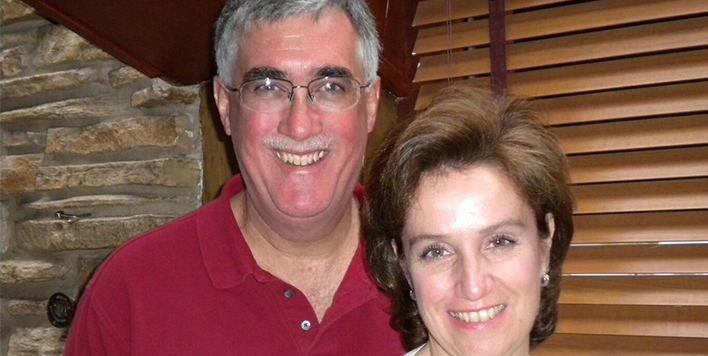 He focuses on pastoring, mentoring, and resourcing the national directors and staff in Latin America. This also includes being a liaison between the Hispanic communities throughout the Americas and representing the international team whenever needed. 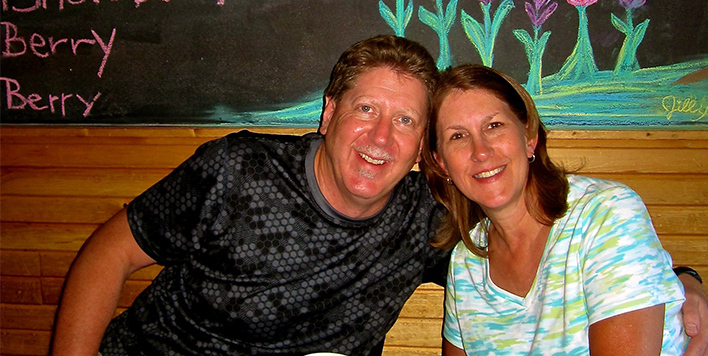 Mark and Deb serve in Orlando, Florida, at Wycliffe USA’s Mobilization Center. Mark is a Partnership Development Coach/Trainer and Technology Consultant. Deb is the Senior Director of Development/Orientation/Training. 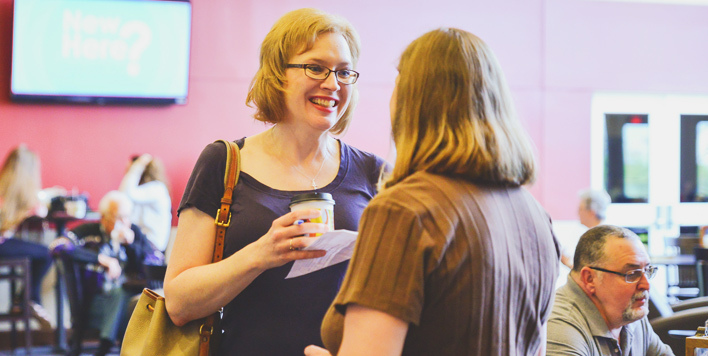 Together they enjoy training and encouraging Wycliffe colleagues who are serving all over the world. 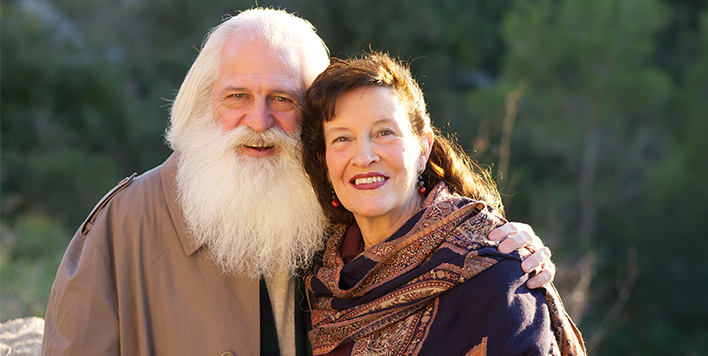 Norman and Gwen have served in Barcelona, Spain, since 1982. They have led and taught worship, music, and prayer at Bible colleges, youth retreats, and leadership seminars in Spain, Ukraine, and Romania. They mentor leaders who plant churches, start youth ministries, and lead restoration ministries and prayer initiatives. 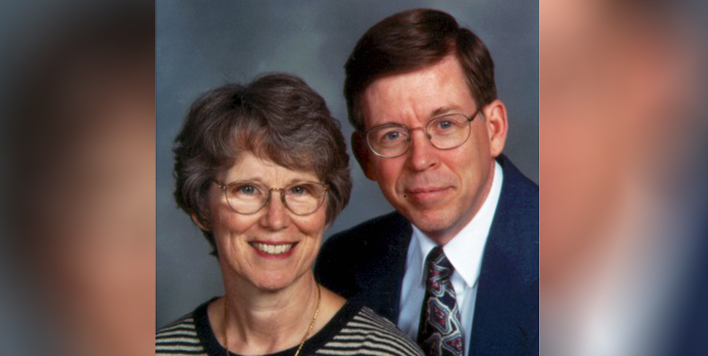 The Bowmans reach out to the poor of their community and regularly care for immigrants of other faiths. 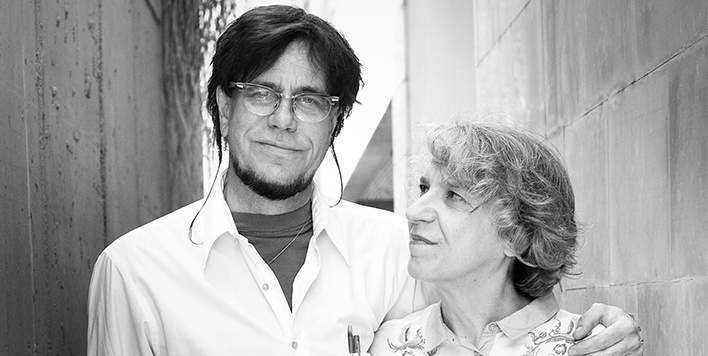 Their gifting, calling, and passion is to communicate the gospel effectively to the postmodern and multicultural peoples of Spain. Becky is happily mentoring younger believers and coaching new mentors to effectively help others. She continues to develop Bible study and discussion materials designed to encourage people to talk about what they are really thinking. 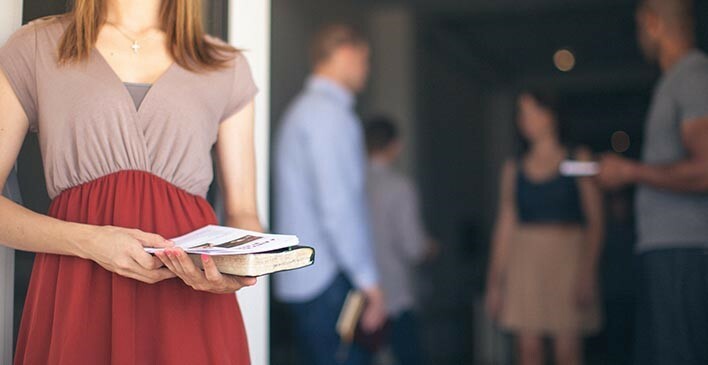 Becky continues to coach missionaries in raising personal support. On the side, Becky teaches courses at local universities. 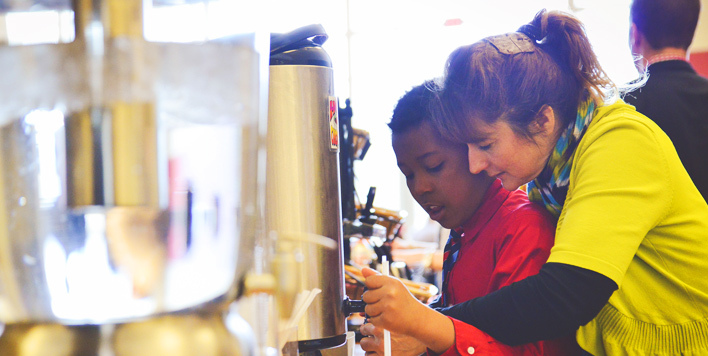 This keeps her in close contact with students, a life passion. Marc and Stephanie serve in Bundibugyo, Uganda. 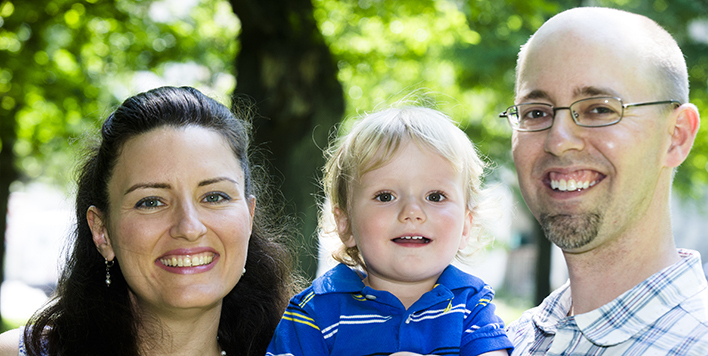 Marc works as a physician and Stephanie as a nurse practitioner and mother of five. Their focus is on healthcare ministry in partnership with local churches and the Ugandan government. 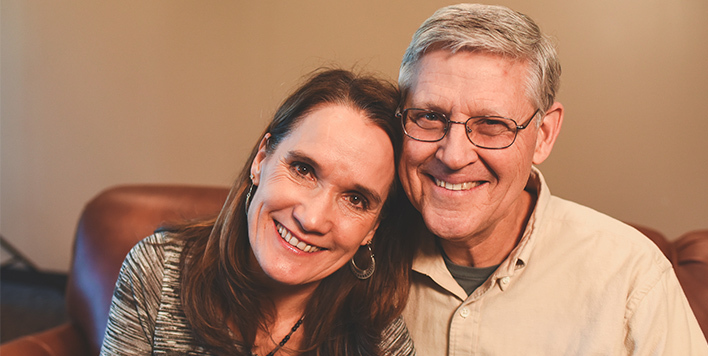 Their team began planting churches in 1986 and now focuses on disciple making, training emerging leaders, and serving the poor through healthcare ministry, a clean water project, and a local school. Carl is developing new global initiatives for missionary service. One is developing new leaders by an international Fellows Ministry, (thefellowsinitiative.org) and a second is developing a means for people to serve as bi-vocational missionaries with MTW. Becky trains people in churches to teach English to internationals and helps churches start English as a Second Language (ESL) ministries. This is done with the PCA Mission to North America’s ESL ministry. 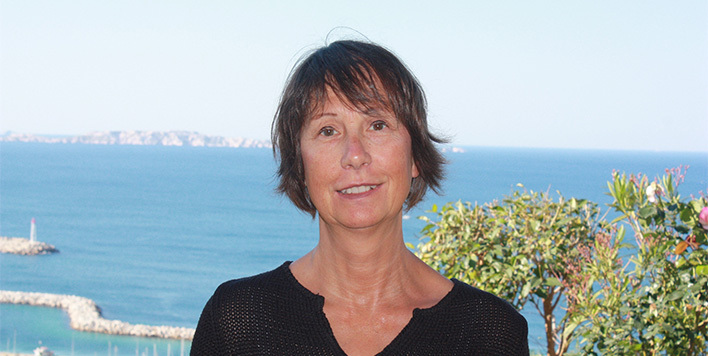 Bev is the member care facilitator for the GEM missionaries in Romania, Hungary, Croatia, Kosovo, Greece, Macedonia, Bulgaria, and Italy. 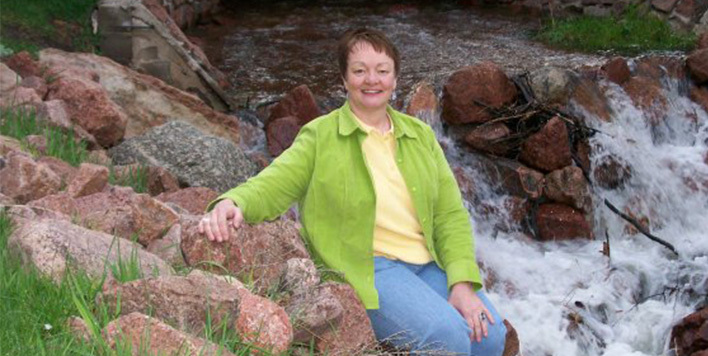 Her role includes helping to plan spiritual retreats for women. She continues to teach an English class and stays involved with the House of Hope project for girls and seniors. 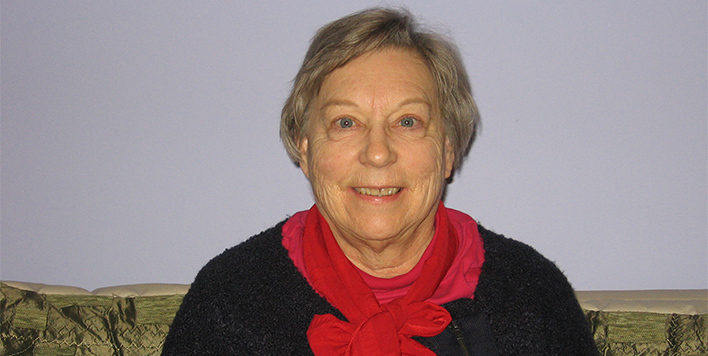 Bev completed her Masters of Arts in Missionary Care from Columbia International University in August of last year. Brian is working with CEF Camp Good News as the camp’s Facilities Manager. He is part of the full-time missionary staff that welcomes summer campers and year-round retreat groups to enjoy meeting their Creator in a natural setting. Over the years hundreds of kids have found Jesus as their Savior and grown in Him through the ministry of Camp Good News. Bill proclaims the gospel in an intellectually credible way on university campuses, both in the U.S. and abroad through lectures and debates. He also trains Christians in the art of defending their faith. Bill’s ministry also aims to produce first-rate literature (in the form of books and articles) defending the Christian worldview on both a scholarly and a popular level. 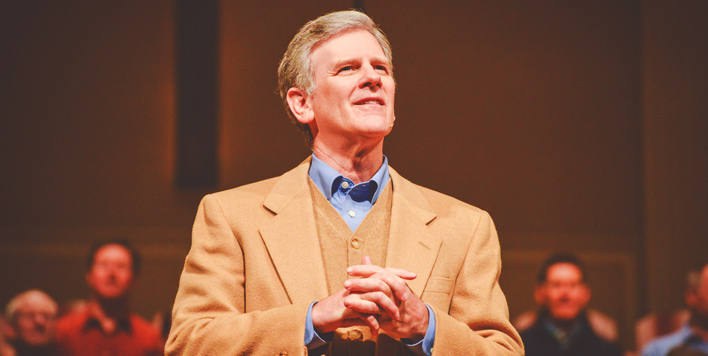 Through his website ReasonableFaith.org and YouTube channels, Bill’s materials are made available to a worldwide audience of literally millions. 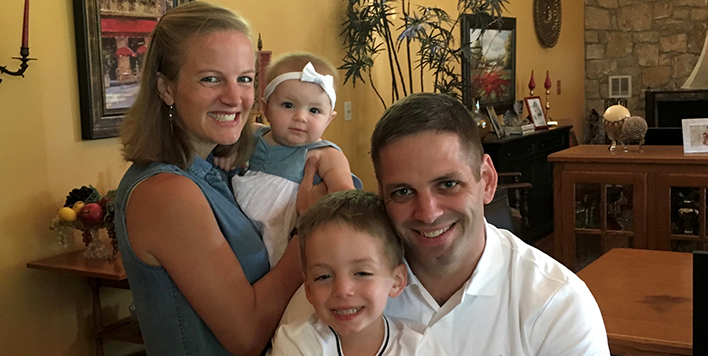 Josh and Alissa are serving missionaries at the Black Forest Academy in Germany by providing a healthy, Christ-centered environment, and excellent education for their children. Josh's tasks in the Advancement Department include helping with staff recruitment, student enrollment, partnerships, and alumni relations through web content creation and photo/video production. He also is an assistant teacher in the Yearbook class. Mark and Kris have been church planters in Venezuela and Italy and are now leading TEAM’s missionary work in North America (NAMA). NAMA was born to help the Church bring gospel transformation to the ever increasing diverse and post-Christian culture that we live in. Currently there are 15 missionary families working across the U.S. and Canada that Mark is overseeing. Kris serves the missionary ladies in NAMA and is involved in our local church's ESL outreach to Muslim refugee ladies. Josiah Venture’s mission is to equip young leaders to fulfill Christ’s commission through the local church in central and Eastern Europe. Mel serves as executive vice president of JV. 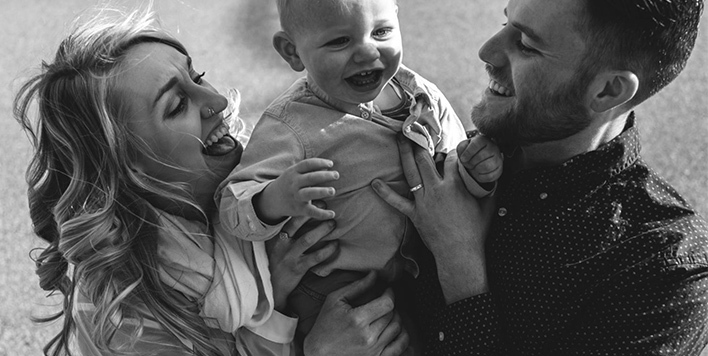 He and Amy work alongside over 300 leaders in thirteen central and eastern European countries to shepherd, train, and give direction as this movement takes on momentum. They train and disciple young leaders, and they teach and coach the leadership teams in each of the countries where Josiah Venture is serving. 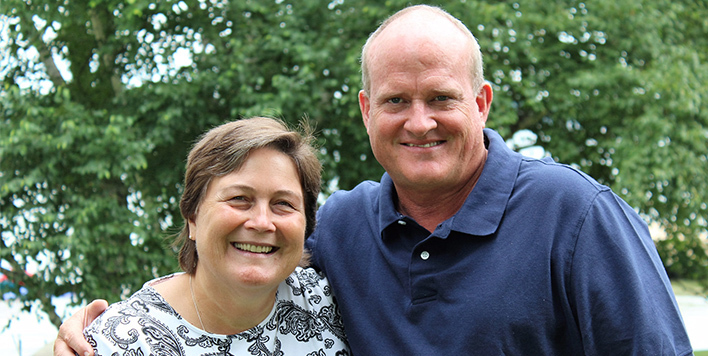 Paul and Nanci serve at the Wycliffe-JAARS center in North Carolina. Paul is a media resource developer, creating multi-media translation aids for national Bible translators. Nanci is a counselor in Wycliffe’s counseling department, helping people at the Wycliffe-JAARS center and around the world by Skype. She also supervises interns from Gordon Conwell Theological Seminary who are counseling incarcerated women. Mike is the Area Director for the Central Illinois Coalition for Men’s Discipleship. 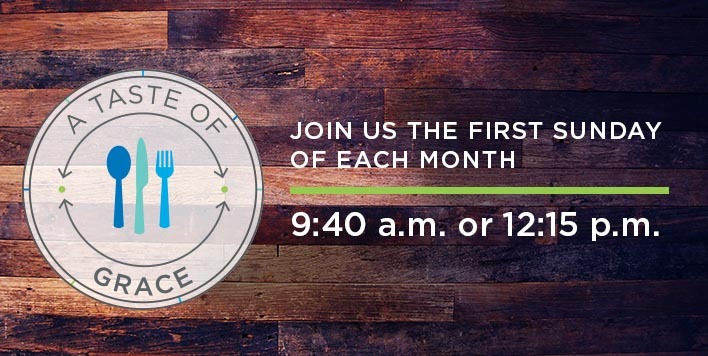 To fulfill his vision for “Every Church to Disciple Every Man,” Mike works with regional church ministry-to-men leadership teams and pastors to create an environment where the Holy Spirit can inspire men to engage in life-on-life missional discipleship. Only one in twenty central Illinois men are engaged today in discipleship through local churches. Mike’s mission is to help churches reach and serve the other 19 men. Katrina is the state director of Child Evangelism Fellowship of Illinois. Her responsibilities include the supervision of all CEF staff, six local chapter committees, Camp Good News, and the volunteers who make the ministry to children possible. 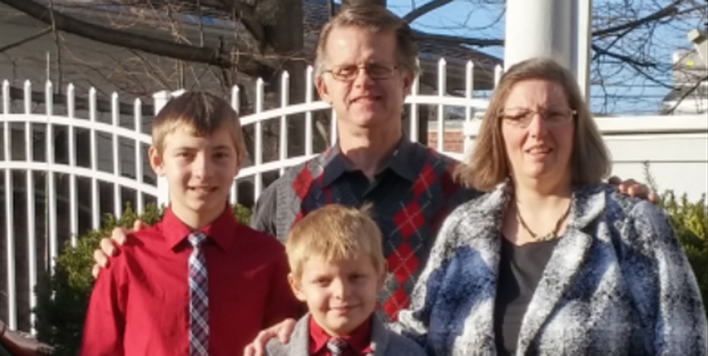 She is also involved in pioneering new areas in Illinois helping to establish additional CEF local chapters and missionaries serving in the field of Illinois. 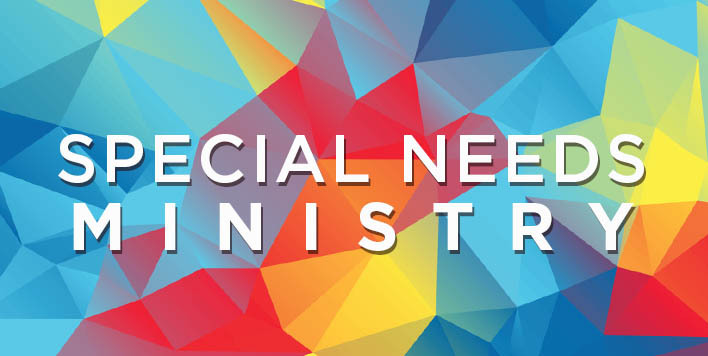 CEF ministries include after-school Good News Clubs, summer 5-Day Clubs, and several other children’s ministry outreaches held throughout the state reaching over 8,000 children annually with the gospel here in Illinois. Katrina is also the host of CEF’s new weekly radio program called, “Telling Future Generations,” on Sunday mornings on WPEO AM 1020. The purpose of CEF is always threefold: to evangelize boys and girls with the gospel message, to disciple them in God’s Word, and to establish them in a local, Bible-believing church for further Christian growth and spiritual living. 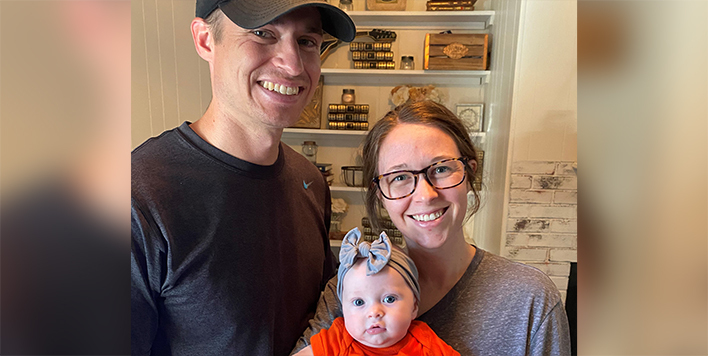 Nate and Roxy have moved from Monmouth to Kankakee, where Nate’s new role is serving as the college pastor at Redeeming Grace Chapel. 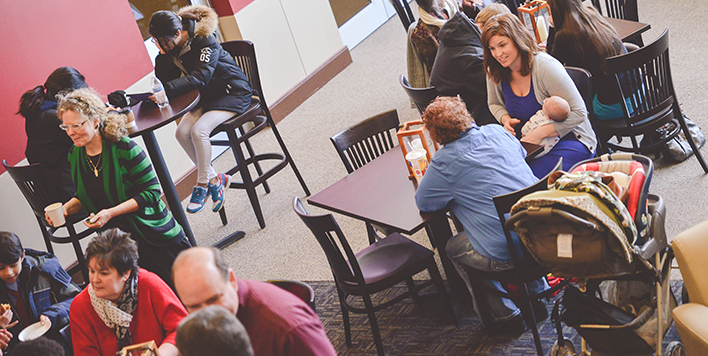 Roxy and Nate spend most of their time evangelizing and discipling students at Olivet Nazarene University. 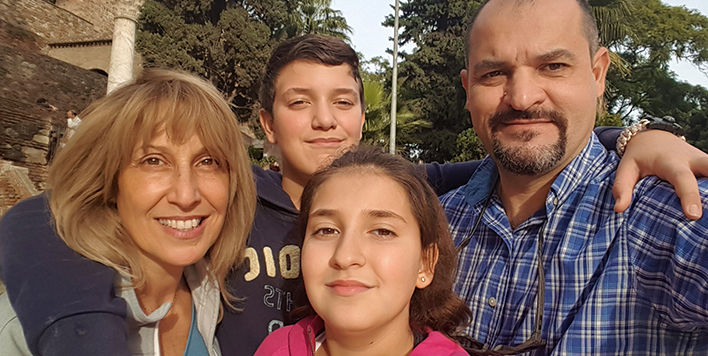 Since 2015, the Gallegos have been dedicated to the ministry of planting a new church in the north central part of the city of Malaga, Spain, where there are no evangelical churches. They have prayer meetings and Bible studies in their home with members of a congregation that is supporting them in planting the new church. 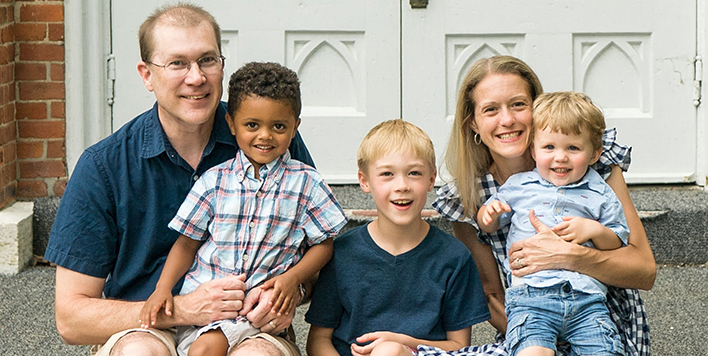 Much of their ministry is connected to the school families of their children, so they try to develop friendships and good relationships to be salt and light to them, sharing their faith and the gospel. They are also serving and loving their community by participating on the school board and by organizing family activities for the school. France lies in the heart of spiritually barren Western Europe. Centuries of persecution and ridicule have left the 60 million people with less than one percent evangelical Christian witness. Yet God will call His people from every nation (Rev. 5:9). There is searching among the French and a void in their hearts that only Christ can fill. 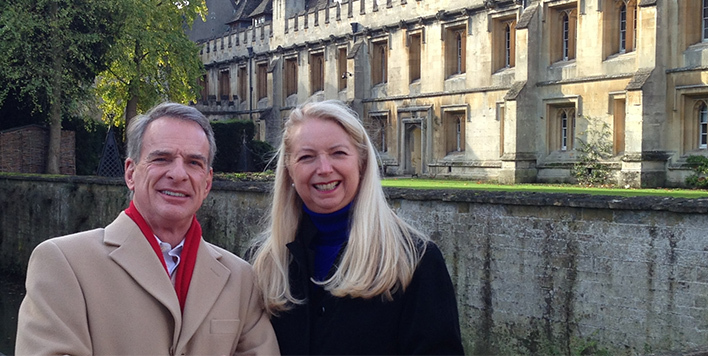 The Gildards are part of a church-planting team in the growing aerospace technology corridor west of Toulouse, France. They are building relationships, sharing the good news of Christ, and encouraging evangelism and leadership among French Christians. Luke is the international director of AIM (Africa Inland Mission). Important aspects of his job include vision casting, leading the leaders, and coordination of the mobilizing (recruiting) and receiving (field) offices. Jenny facilitates the PrayAfrica website and consults for TESOL (Teaching English to Speakers of Other Languages) teachers. 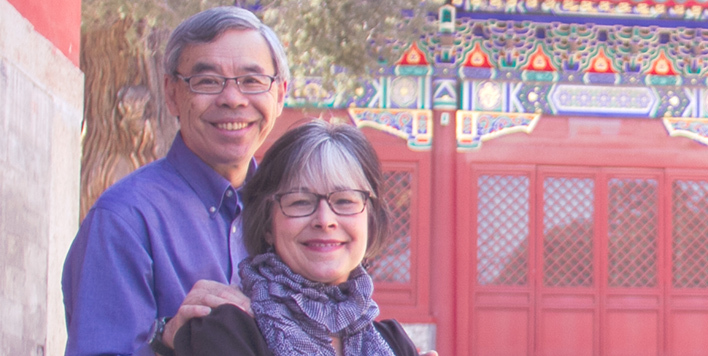 Tom and Lisa serve with The Navigators, and are based in Denver, Colorado, although they spend much of the year in the Asia/Pacific region. NavMissions: Together they are Regional Representatives (pastoral care function) for 38 staff that serve in 8 countries: Australia, New Zealand, Hong Kong, Taiwan, the Philippines, Cambodia, Nepal and India. Nations Within: Tom supervises staff in Texas who work with immigrants. Discipling for Development: Lisa is an International Mentor working with the staff in Atlanta, GA, (working with refugees) and the staff in the Philippines (working among the poor). 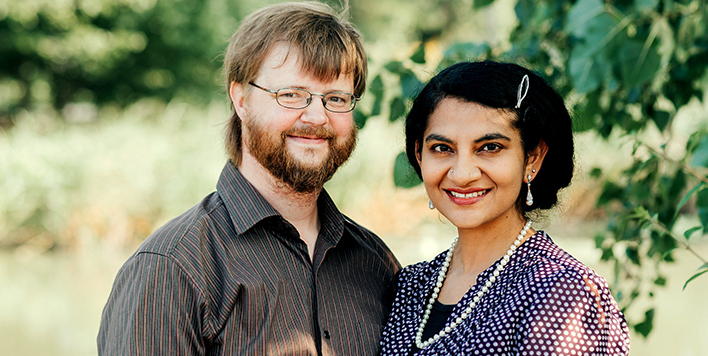 Chase and Ailisha (Sha) lead a team of six that works alongside several indigenous ministries/projects based in the university town of Cluj, Romania. These include a university student ministry, a publishing house, a mission to addicts, a local adaptation of Serge’s Sonship discipleship course, and a Montessori elementary and middle school. Chase and Sha also assist local believers working among students and professionals within the Cluj theatre community. 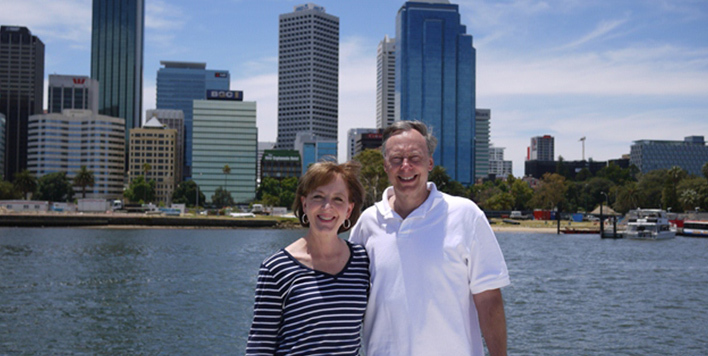 Ben and Sheri Johnston were sent out from Grace Presbyterian Church in October 2012 to pastor Subiaco Church in Perth, Australia. Western Australia is a needy mission field for the gospel and offers many opportunities for evangelism, discipleship, and church growth. As lead pastor, Ben works with a great young staff to make disciples. 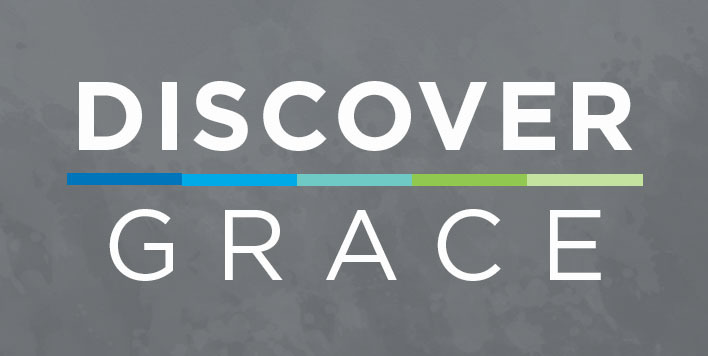 With members from approximately 40 nations, Subiaco Church is in the unique position of influencing a new generation of international leaders. 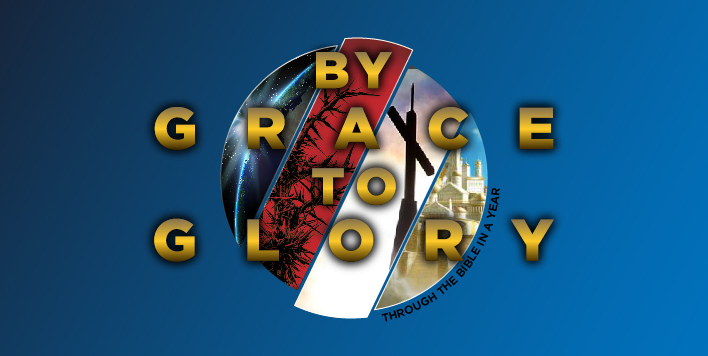 You can view a video stream of Ben’s sermons on the church’s website at www.subiacochurch.com. 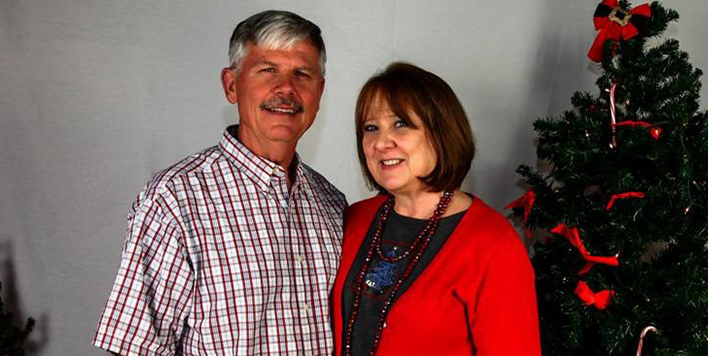 The Keels are on staff with Bridges International and Cru City in the Atlanta area. Bridges International is the international student ministry of Cru. 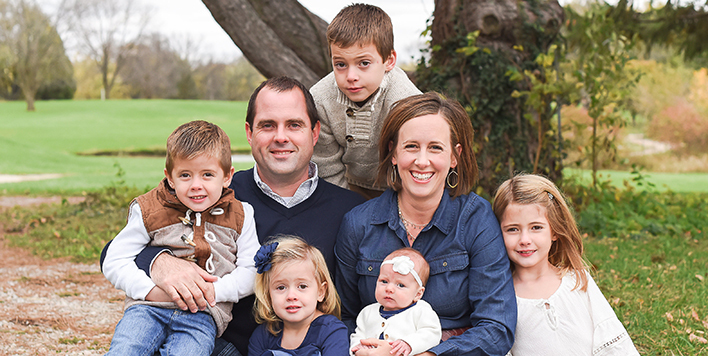 Abbie is MPD (Ministry Partner Development) Director for all of Bridges International in the U.S. She trains and coaches new staff nationally to be fully funded Christ-centered laborers, and she leads the team of MPD coaches for Bridges. Jason is on staff with Cru City, the arm of Cru that reaches out to communities outside of the campus. He serves churches helping them mobilize their people for outreach and discipleship in order to strengthen churches to grow and plant new churches. He is especially passionate about mobilizing churches to reach immigrants the Lord is sending to the U.S. from all over the world to hear the Gospel from people like you. 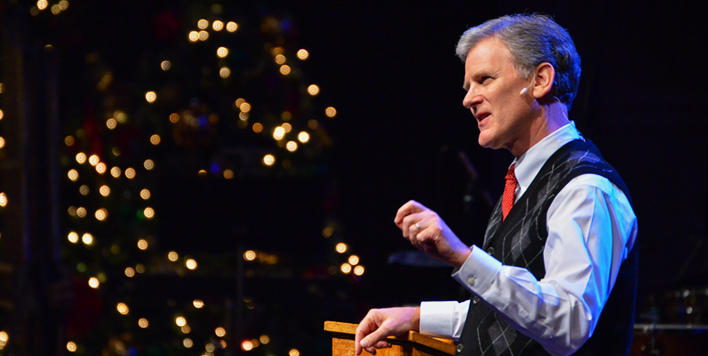 Jay serves as president of T-Net International, which seeks to train and equip pastors and leaders around the world to finish the Great Commission. Currently T-Net is in 28 countries and has about 30 staff in North America, Africa, and SE Asia. There are nearly 6,000 pastors in training and hundreds of training centers globally. 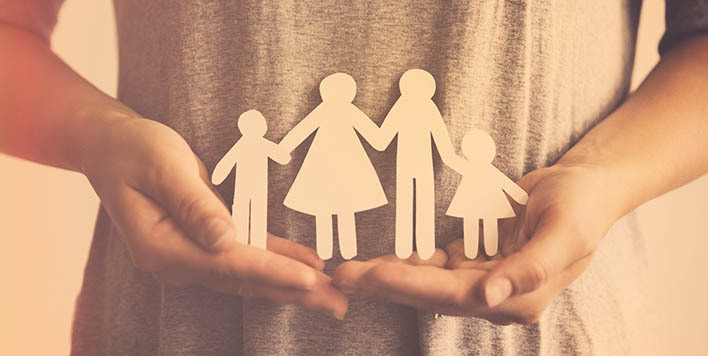 Unique features of T-Net are the ability to offer accredited bachelors, masters, and doctoral degrees and the establishing of indigenous led and funded organizations in each of the countries where it ministers. Jay leads the staff, sets vision, raises institutional funds, teaches and trains, coaches, and explores new countries for service. 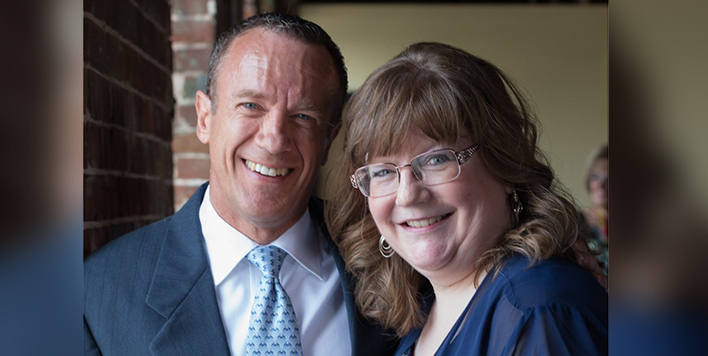 Scott and Rachel minister through Hands of Love Ministry, based in Central Illinois, whose outreach includes RiverLife Gospel cruises aboard the Spirit of Peoria riverboat, as well as music and speaking ministry throughout the United States and internationally. Rachel leads a local women’s community Bible study. 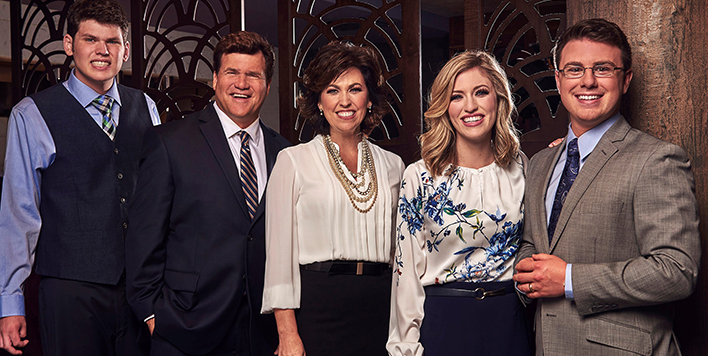 Scott produces and co-hosts the ministry’s weekly syndicated radio program and produces the ministry's CD and DVD projects. 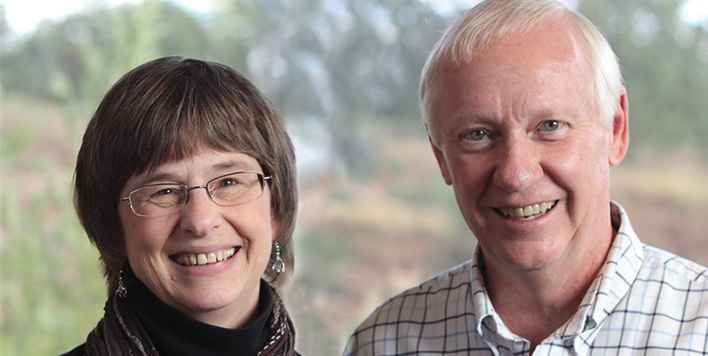 Wally and Natasha are involved in training people to lead and equip nationals to serve as the next generation of Christian leaders in 12 countries of the former Soviet Union or Eurasia, through the School Without Walls program (SWW). SWW is a two-year program where training takes place in 70 locations. Students are trained in skills and equipped with pictorial Scriptures, New Testaments, and Bibles to minister in local churches, summer Bible camps, orphanages, prisons, and summer sports camps. 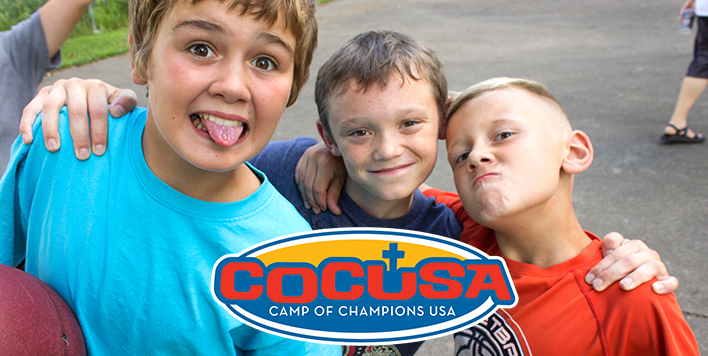 Youth For Christ/USA was in 123,955 authentic Christ-sharing relationships (ACSR’s) with lost teens last year! In Central Illinois they were in 556 ACSR’s (Do you remember what an ACSR is?). They want to grow that number significantly this year. Dan leads the Central Illinois team of 187 leaders toward lost teens as they build partnerships with schools and other places where teens gather, so that they can display the truth of Jesus Christ. 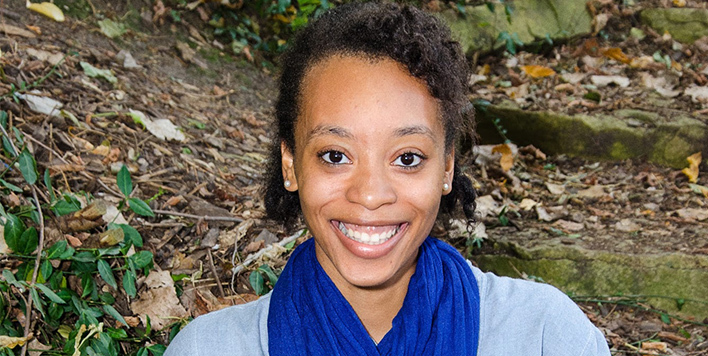 Jasmine works with a team at Bradley University to reach college students with the message of the Gospel of Jesus Christ. Most days she spends time on campus, building friendships, leading Bible studies, planning evangelistic events for students, and seeking out opportunities to tell girls at Bradley about Jesus. Jon and Cassie serve with Redeemer Church in Urbana at the University of Illinois. With an extremely large international population, the potential to reach various nations is amazing! Jon and Cassie get to build friendships and share the gospel with various types of people, even unreached people groups. God brought the nations to us! They also minister to a fraternity and sorority next to their home and get to help young Christians grow to enjoy Jesus. Bob and Disha will be serving in Madrid, Spain. Bob will be providing sound engineering services with Radio Encuentro and technical support for the evangelistic ministries organized by the Decisiòn ministry. They will also be serving local refugees and immigrants by teaching English, literacy skills, and using friendship evangelism. They will also be serving at a local Castilian Church through music and evangelism. 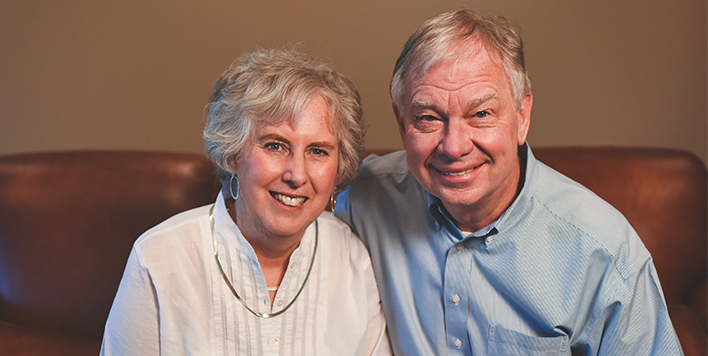 Ron and Pam have been with Word of Life International since 1982. 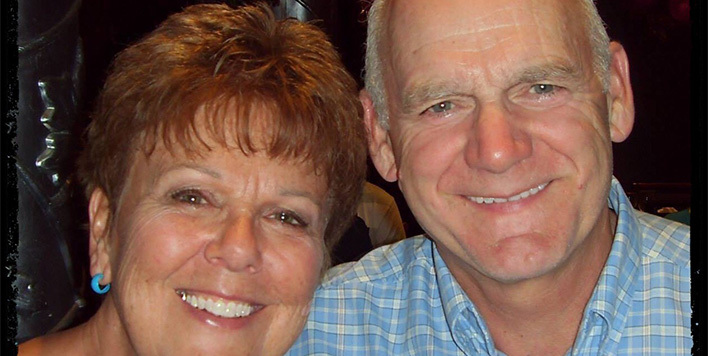 Since 1997 Ron has been the international ministries project coordinator. He provides strategic assistance by helping mobilize short-term work teams and procuring much-needed equipment and resources. He also supervises some of these teams in traveling to mission areas to do construction projects. 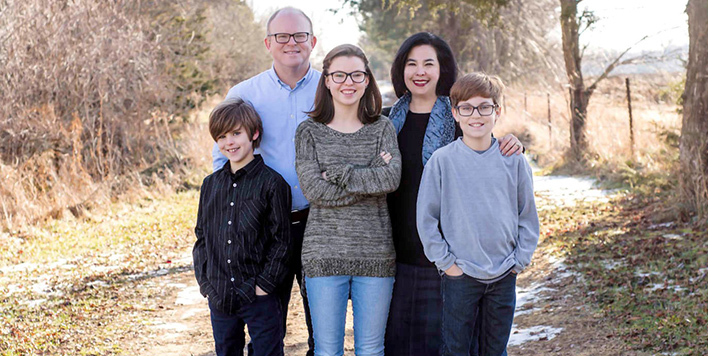 In 2012 Ben and Lindsey moved to the capital city of an extremely poor and mostly “closed” Asian country to become companions of the poor, establish a new team site, and start a leadership development business. They recently returned to the U.S. for a season of healing and discernment after an intense term. During this time Ben is pursuing training in the medical field and Lindsey will be working locally with international students. 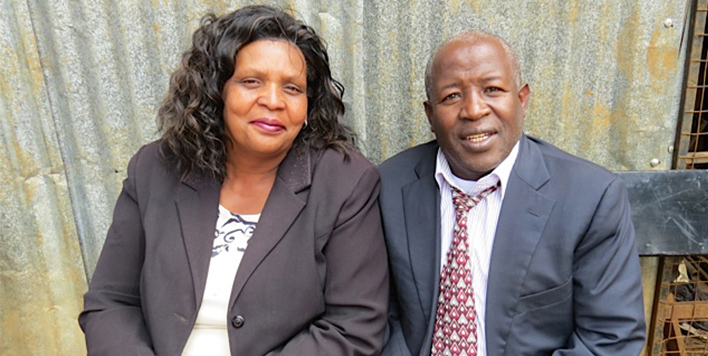 Wachira serves as the Executive Director of Pace Ministries. His work incorporates visionary leadership style, capacity building among staff, financial accountability to the board and the local government, fund raising, partnership development, recruiting of teams, and spiritual development of those in the PACE community. Glenda serves as the coordinator of community outreach. Jeremy and Christy are newly appointed with World Venture, preparing for overseas service in theological education and counseling ministries. 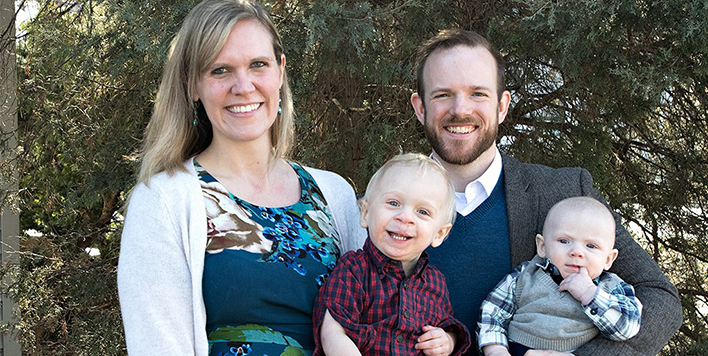 Currently, Jeremy is completing his doctorate at Wheaton College while working on the pastoral staff at College Church in Wheaton. Christy is working as a counselor at a local practice, and is finding many opportunities to work with missionaries on furlough. Josh and Julie Parr serve on staff with the Collegiate Navigators at the University of Illinois at Champaign-Urbana. They help direct student outreach among a diverse student body. 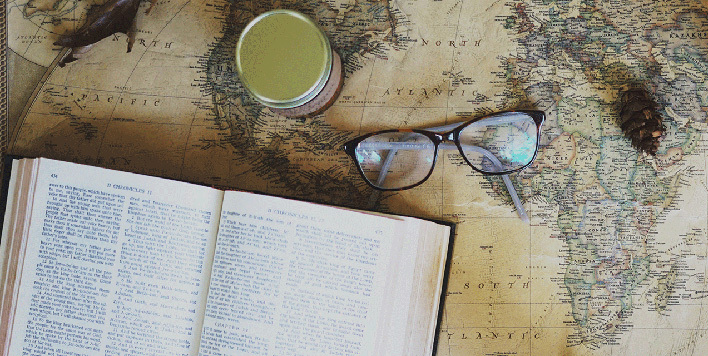 The calling of The Navigators is “To advance the gospel of Jesus and His Kingdom into the nations through spiritual generations of laborers living and discipling among the lost.” Their desire is to spread the gospel of Jesus among the nations through developing laborers on the college campus. Susan is one of the founders of the largest Jewish mission agency in the world. With mission centers in 13 countries and 25 cities, Jews for Jesus makes the messiahship of Jesus an unavoidable issue to Jews worldwide. 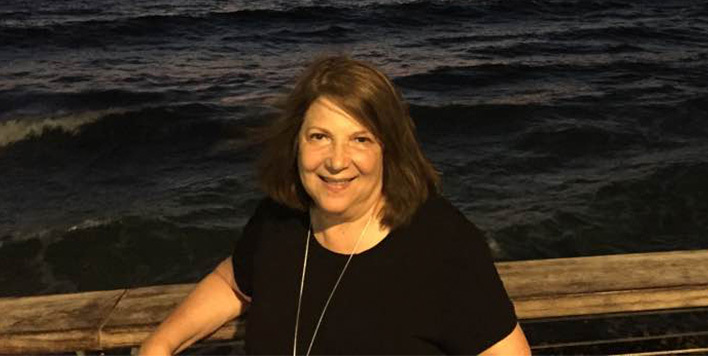 Susan is not only trained as a missionary, but provides oversight for the communications aspects of Jews for Jesus including publications, evangelistic literature, multimedia, evangelistic ads, and interviews in the secular media. She also serves as the second in charge to their executive director, David Brickner. She also put together an adult coloring book, The Glory of the Messiah, with Bethany House Publishers. It focuses on messianic prophecy (Old Testament verses with New Testament fulfillment). Ted is the church planting coordinator for Mission to North America (PCA), and also the denomination’s Midwest regional coordinator. He assists in planting and vitalizing churches. In the Midwest Region he serves in a resourcing, recruiting, and training capacity. Ted and his staff sponsor training events and conferences on topics of interest for church planters, as well as serve as a resource to them in a variety of areas. He also oversees the assessment process and coaching for church planters. Athletes In Action’s dream is to see Christ-followers on every team, every sport, and in every nation. It has been a year full of new opportunities they never imagined! 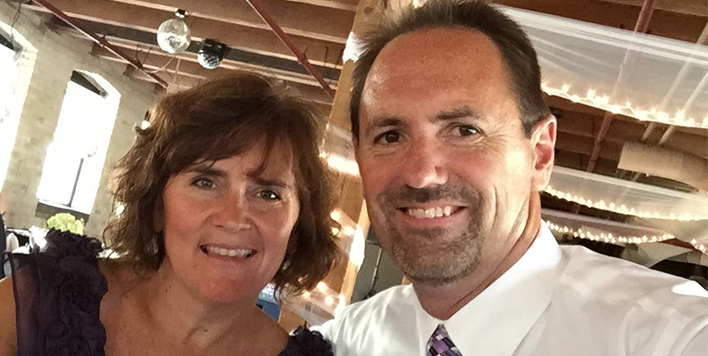 Mike and Leslie will serve in Leadership Development and Human Resources – Mike has stepped up to be the Co-Interim Director. Leslie has taken the role of New Staff Ministry Partnership Development Coordinator in addition to being a support coach. Jim helps to direct training for young staff on campuses across the nation for The Navigators. He is also the Campus Director for the Navs at Colorado State University. 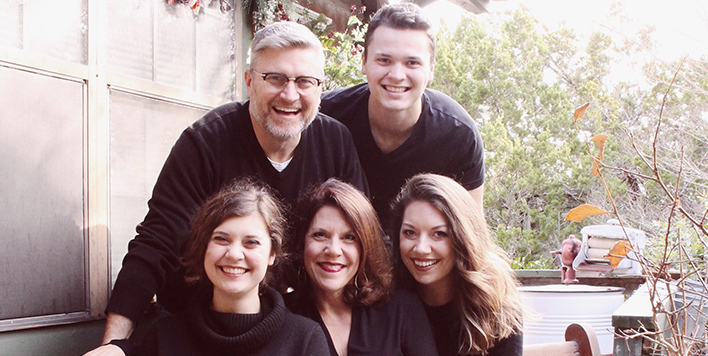 The Rinellas share the gospel with college students and help young Christians grow through Bible studies and one-on-one discipling. Jim also enjoys speaking at conferences for college students. 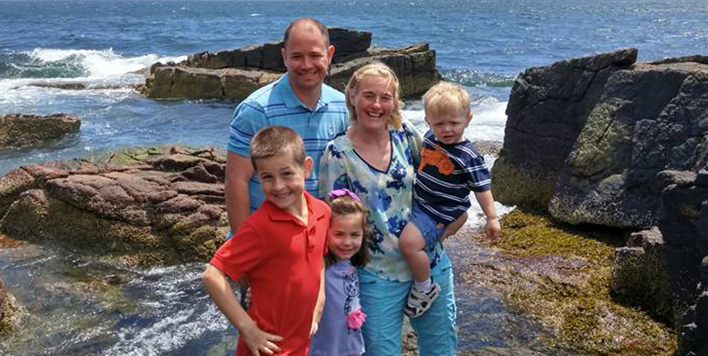 Jeff serves in a COO (Chief Operating Officer), legacy giving and ministry expansion role at YFC. YFC is pursuing hundreds of lost teens and is seeing dozens of kids coming to trust Christ! More than 125 ministry volunteer leaders are mobilized in mission and they believe God has more in mind for YFC to do! He also serves locally as chaplain to the Peoria Rivermen hockey team (it's a dark / lost mission field), and he loves pursuing men's hearts through fall and spring retreats. Two to three days of his week are spent in Bloomington putting effort to launching outreaches in Bloomington/Normal (BLONO). Some promising things are happening with ministry begun at the McLean Co Juvenile Detention Center and hopefully ministry outreach at Bloomington High School. 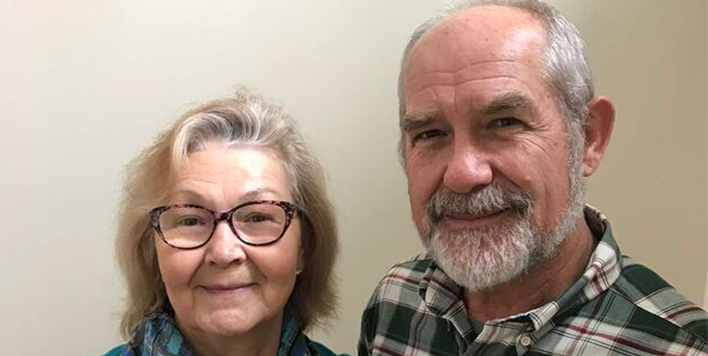 As Associate Director (Gary) and Bookkeeper (Judy), they work at the Morton, Illinois, home office to help oversee and coordinate various ministries such as literature, seminars, and consultations, as well as regional conferences geared specifically to small-town ministry. They are also involved in the day-to-day care of the missionary family. RHMA missionaries go into small towns and rural areas across America to plant new churches and restart dying ones. 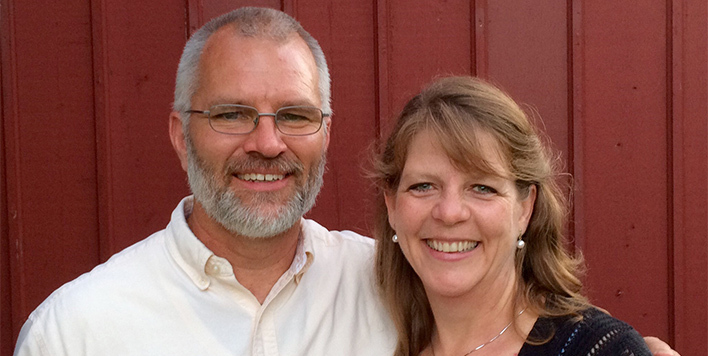 Martin is area director for InterVarsity in western and central Illinois. He oversees the IV chapters at seven campuses: Millikin University and Richland Community College in Decatur, Illinois State and Illinois Wesleyan Universities in Bloomington, Bradley University in Peoria, Knox College in Galesburg, and Augustana College in Rock Island. He is also the supervisor for five staff and many volunteers. 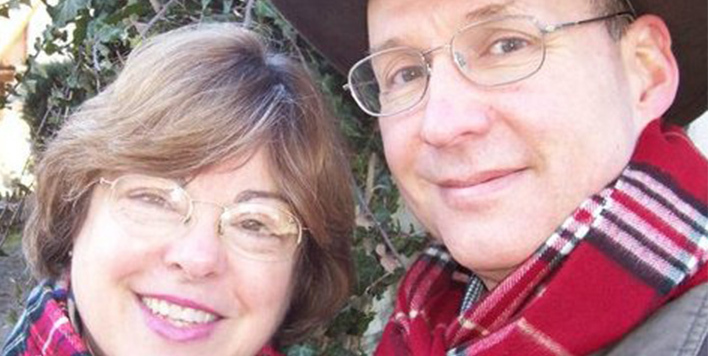 Randy and Peggy serve at the Black Forest Academy in Southern Germany. Around 90% of the student body are children of missionaries who work throughout Europe, the Middle East, and Africa. Randy teaches computer science and math, and middle school robotics. Peggy is the Administrative Assistant to the high school Principal. Reaching into the German community through music, Peggy plays violin in two orchestras and in area churches. Randy plays trumpet in the local village band. Joel is currently interning with a French pastor in the small town of Le Vigan in the Cevenes mountains to grow in his understanding of their partner denomination and to improve his French. He serves the church in evangelism, discipleship, prayer meetings, a Bible study, and in creating a website. He is also continuing his weekly French class. Stephanie handles much of the English-language part of their ministry, freeing Joel to focus on working in French. They enjoy loving and raising their growing one-year-old Pascal. They have moved to Toulouse to help their team plant a church in concert with French pastors, and to revitalize the existing downtown church. Bill now serves as national staff development specialist, his dream job of mentoring the next generation of leaders in the New Testament-helping them understand it right so they can live it right, and then pass it on to the next generation right. Sue now serves with the Encore mission of The Navs. She writes a weekly devotional blog to encourage women along their faith journeys: Echoes of Grace. She also enjoys facilitating Sabbath-Living retreats that help women listen well to God. 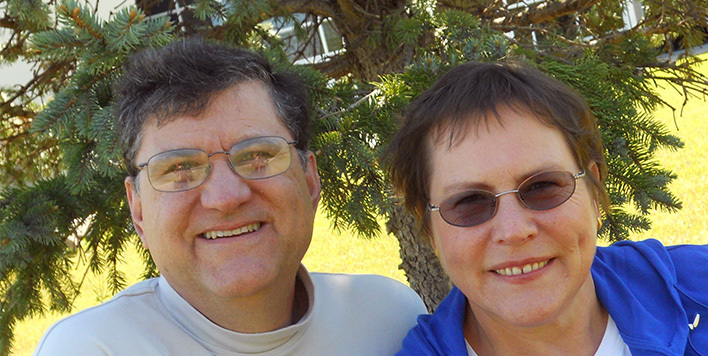 Bill and Sue both write regular blogs encouraging their readers to live in the freedom of the gospel. Bill's Laying It Down, can be found at billtell.com. Sue's Echoes of Grace, is at suetell.com. 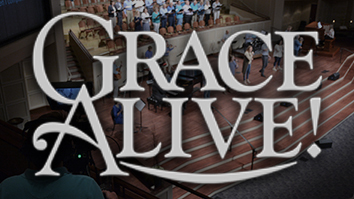 In the next 2-3 years, Bill will travel eight different times to Europe, Africa, Singapore, and Indonesia to bring the message of grace to the leadership of Trans World Radio. Sue partners with Trueface ministries serving as adjunct faculty for the High Trust Leadership program, leading small groups of women through this online course on living out the gospel of grace. 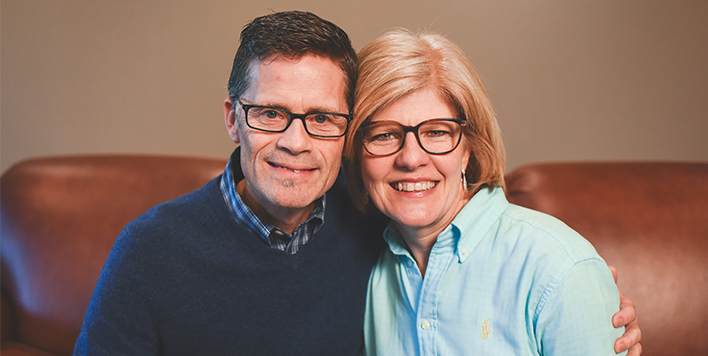 Mike and Kathy have joined Cru City, a ministry of Campus Crusade for Christ which is focused on reaching cities both here as well as internationally. They are currently working in the Greater Peoria area focusing on reaching internationals, immigrants, and refugees. Their desire is to reach out into these target groups through events and activities that both meet their physical needs as well as lead to conversations about the gospel of Jesus Christ and to help develop disciples from these three groups who can continue to have an impact into their specific cultural group. They are also directing the new ESL ministry at Grace. 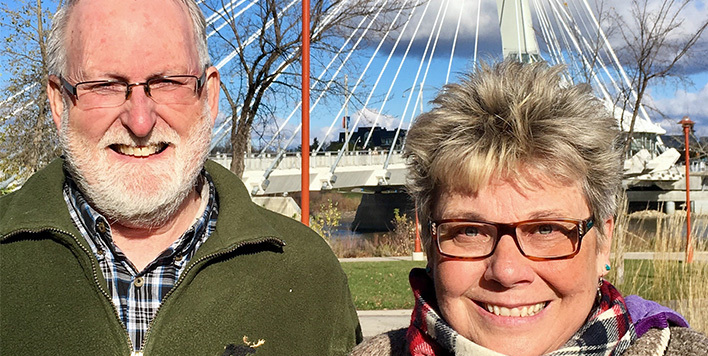 Jim and Jan Uttley have been working with North America’s First Nations people for over 25 years. They serve with Wiconi International and Indian Life, a bi-monthly evangelistic newspaper for North American Indigenous Peoples, where Jim is editor. They are also involved in their community and in the lives of First Nations people. Nelly works with a Protestant Reformed Evangelical denomination in France as the Coordinator of Evangelism through the Arts. She will be visiting most of the 30 churches and encourage them to be more pro-active in terms of reaching out to the French people, and specifically through the talents God has equipped them with. She is hoping to be very active in the six churches in Marseille and Aix-en-Provence, helping in organizing concerts, photography exhibits, paint shows, and conducting creative workshops in relation with social justice and ethics. Dean and Kim minister at the University of Wisconsin-Madison. Dean leads and trains a team to evangelize and disciple international undergrads, especially Chinese students, while also discipling a group of young college guys. Kim leads a college women’s Bible study and assists with personal development for staff moms in their five-state region. 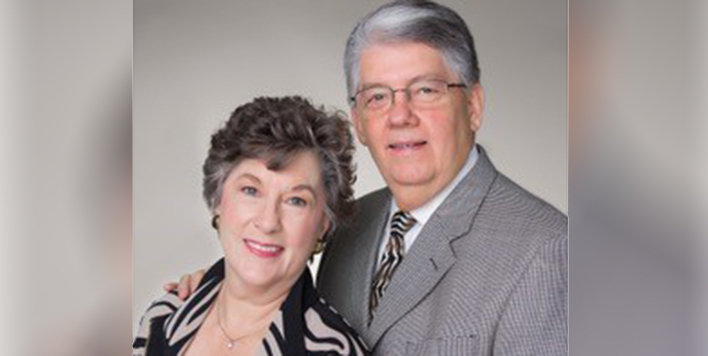 Black Buffalo Global Missions, Inc.
Gordon Warriner now serves as the BBGM President and Director. Gordon is Black Buffalo’s son-in-law, married to their oldest daughter, Linda. 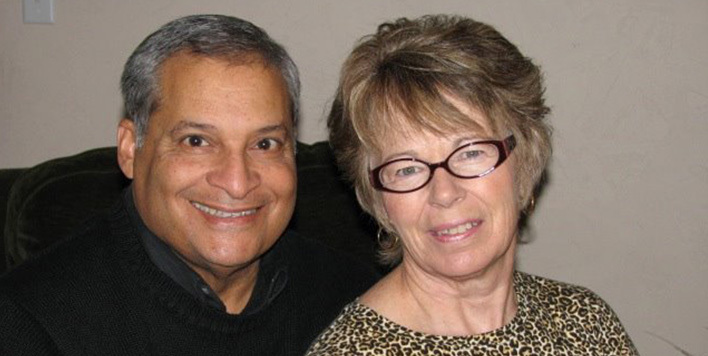 They have been pastors for 46 years and are currently serving in Dawson Creek, British Columbia, Canada. He is now overseeing all aspects of this international ministry both here and in several other countries. 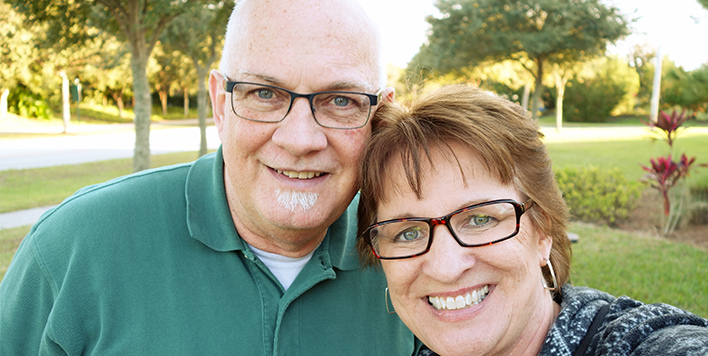 Gordon is responsible for carrying out the vision of the organization and is a liaison with all foreign and domestic ministers and missionaries, training pastors and workers, building ministry teams, and leading Mission Adventure Trips. BBGM has begun supporting a new children’s home in Uganda. They have provided a new well and filtering system, a school for the children, and a feeding program. 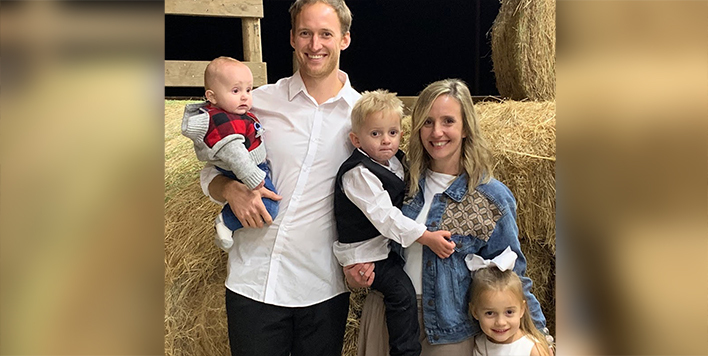 After four years of serving in various contexts in Zambia, Luke and Tiffany are now using those experiences to help equip new missionaries to serve overseas. Working from SIM’s U.S. office, Luke is the integration team leader. He develops and facilitates the training events for their new missionaries, and walks with and mentors them from when they first get their placement through their first years on the field. 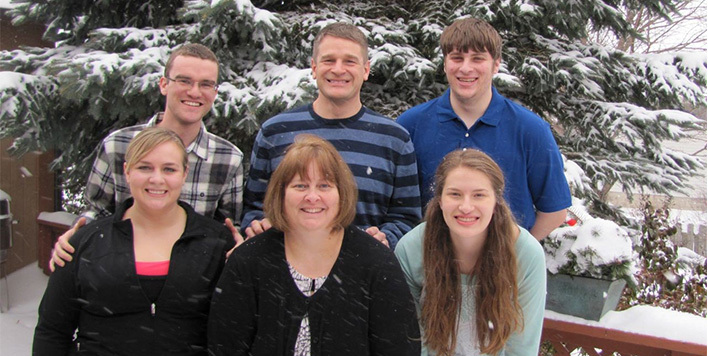 The Wesslers often host groups of new missionaries for meals and open their home as a place of respite for missionary friends coming to debrief at the SIM office between terms of service overseas. 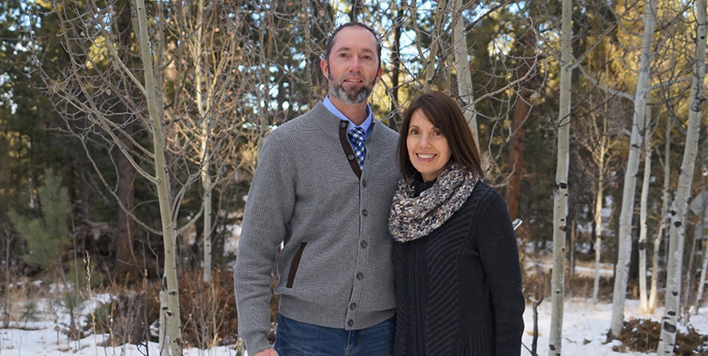 Tim and Lynn, former missionaries in Mexico, direct Shelter Pines, a missionary guest house set on 20 acres of pine trees and meadows, with the purpose of bringing weary missionaries back to life! Their unique priority is ministering to the missionary family as a whole. They also travel in the U.S. and overseas to disciple young professionals and promote missions and missionary care. 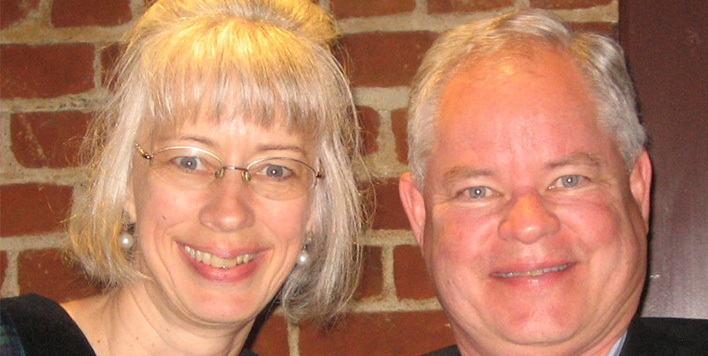 Randy and Sandy serve with the National Collegiate Office serving collegiate missionaries. They are involved with a personal discipling ministry and biblically counsel people who want to walk in holiness and obedience to Christ. Randy also enjoys evangelism. Sandy continues a long and very difficult recovery journey from severe burnout/exhaustion with a host of complex physical therapy issues. As part of the training team within FamilyLife, John develops Ministry Operations staff in their ministry roles. He is currently developing and executing online webinars and live training events. Karen serves in human resources as a New Staff evaluator, walking alongside potential staff couples. 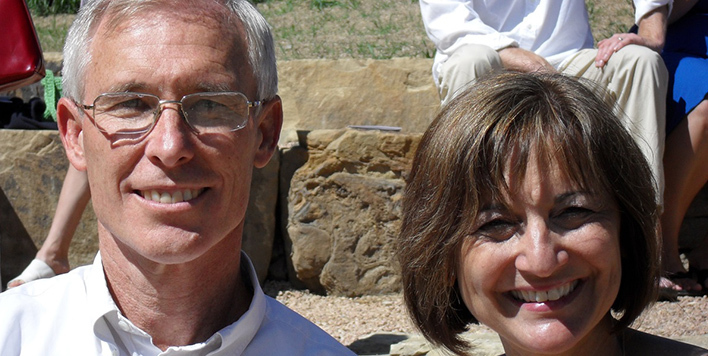 Together, they serve as Prayer Directors for the Love Like You Mean It Cruises. Bill serves the Lord using his electrical engineering background and experience to assist the missionary hospitals around the world. He formulates designs, sources equipment and then installs appropriate technology and cost-effective systems such as medical imaging units, medical gas systems, solar power systems, and electrical power solutions that protect hospital equipment from national grid fluctuations. Jackie is a registered occupational therapist and often travels with Bill, assisting with the needs of physically challenged patients in a culturally sensitive way and seeks additional ways to serve the hospital community. 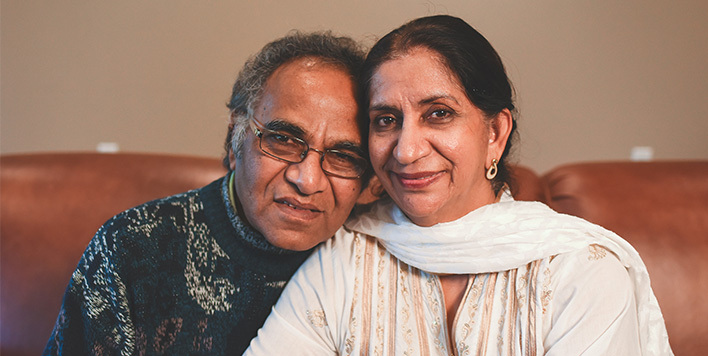 Originally from India, the Yogis have been church planters in Trinidad among unreached people groups of south Asian origin since 1980, having been instrumental in starting five churches. He also trains, mentors, counsels, and disciples nationals. Beulah continues to facilitate women’s Bible studies, through which many have come to know the Lord. After six years of prayer and networking, they have started a new church in Corinth Hills in Trinidad.